Meet Nelly! 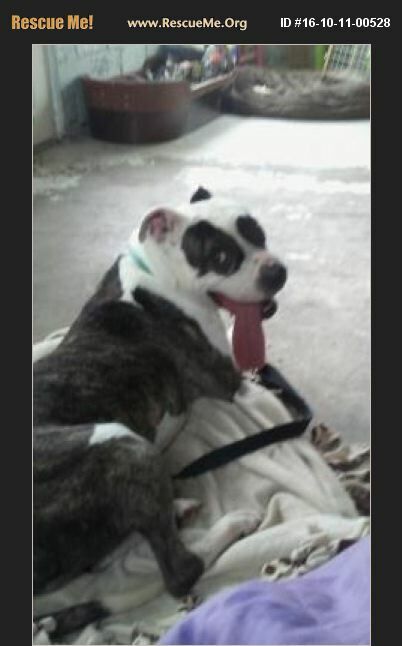 He Is A 6 Year Old Male Boxer/American Bulldog Mix. He Is Neutered, Up To Date On Vaccines, Heartworm Negative, And Microchipped. He Is Currently Being Treated For Hookworm And Has One Pill Left To Take And Should Be Good To Go. What Can I Say About This Goofball. He Is Amazing! Hes A Big Ole Baby! He LOVES Everyone He Meets And Has No Issues With Strangers Or Kids. He Has Not Shown One Ounce Of Aggression At All. He Hasnt Been Socialized Around Other Animals And Has Proved To Be A Cat Chaser. Nelly Has Been Slowly Introduced To The Resident Dogs And Over Time Has Come To Accept Them And Is Able To Now Be Part Of The Pack. Im Not Sure How He Would Be With Other Dogs, It Would Take Take And Work To Put Him In A Home With Other Dogs. He Loves Kids Though And Has Really Enjoyed Hanging Out At My 10 Year Olds Football Games On The Weekends.He Is On Point Trained. He Has Never Once Had An Accident Or Marked In My Home. He Will Walk Right Into His Crate When I Say 'Bed Time'. He Knows 'Sit' And 'Stay' And We Are Working On Doorway Boundaries. He Has Some Bulldog Pushyness And It Mostly Comes Out When He Wants To Snuggle. He Does Not Take No For An Answer. Ive Been A Human Shaped Dog Bed More Since We Have Been Fostering Nelly Than Ever Before. He Just Cant Seem To Get Close Enough To His People. He Is A 55# Lap Dog. He Does Also Like To Climb. As You Can See In His Photos He Enjoys Sleeping In The Cat Tower. Weirdo Dog! We Will Be Looking For At Least A 6 Ft Fence As He Can Climb A 4 Ft No Problem. We Have Kept Him On A Lead At Our Home. He Does Pretty Good Off-Leash As Long As You Are Paying Attention To Him And Has Excellent Voice Recall. Ill Make This Promise. Ehoever Adopts This Boy Wont Ever Give Him Up. Hes Hilareous And A Joy To Have Around. His Bad Habits Are Minor And Are Workable. One Last Note Is His Tongue. We Arent Sure If Its A Birth Defect Or Trauma But He Cannot Atick His Tongue All The Way In His Mouth. This Does Make Him A Bit Of A Drooler At Times. It Doesnt Bother Him But Will Need To Be Paid Attention To On Cold Winter Days. He Eats Fine Although Can Be Messy With His Food Bowl As He Eats From The Side Of His Mouth. He Also Can Only Give Kisses If You Happen To Be On That Side Of His Face. His Adoption Donation Is $260. For more uodates, pictures, and videos of Nelly please like us on facebook. Facebook.com/AllforkarmaAnimalRescue. Please visit AllforkarmaAnimalRescue.com to fill out an adoption application.